I don't know about you, but I never tried something like this. And honestly, I really want to (just for fun). But there's a problem - my hair is stick straight. That is a reason why I'm sticking to my favorite curling iron. So if you don't have any hair rollers and you have the same problem as I do, feel free to use and iron ( but make sure that's big ). Amazing Katie did this tutorial! I adore her! 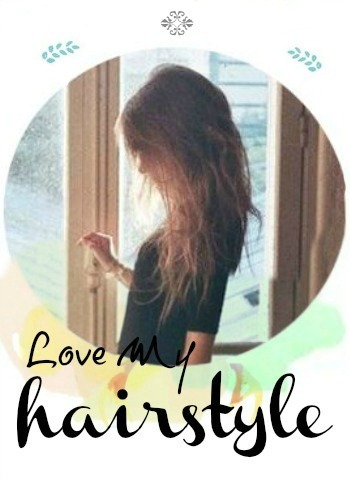 You should have fun with this adorable hairstyle. 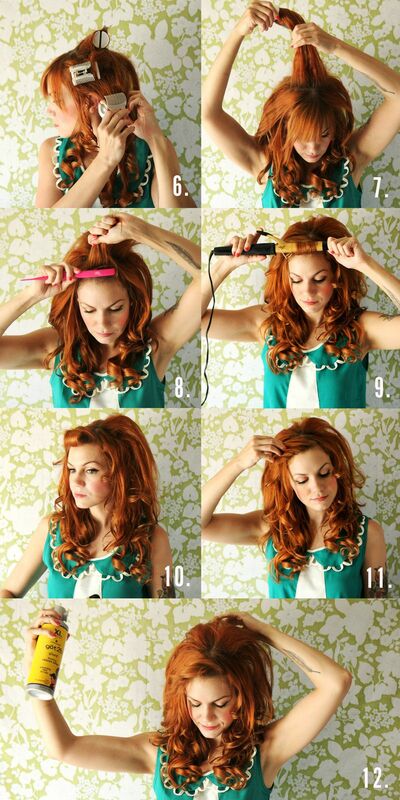 Unroll the hair from the curlers and start at the bottom and work your way to the top. 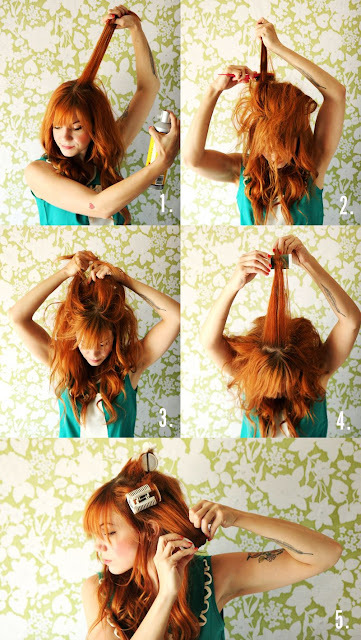 Tease your bangs or front section of the hair. After that curl the bangs and any other face-framing pieces that may not have made into hair rollers. Pull the curled bangs up and to the side. Then - hair spray! Use a veil of it to keep that volume and curls in place. Have fun!